The PB Team returned to The Hospital Club this week, where we were joined by another full house in The Oak Room for the latest in our Turn On, Tune In series of events. 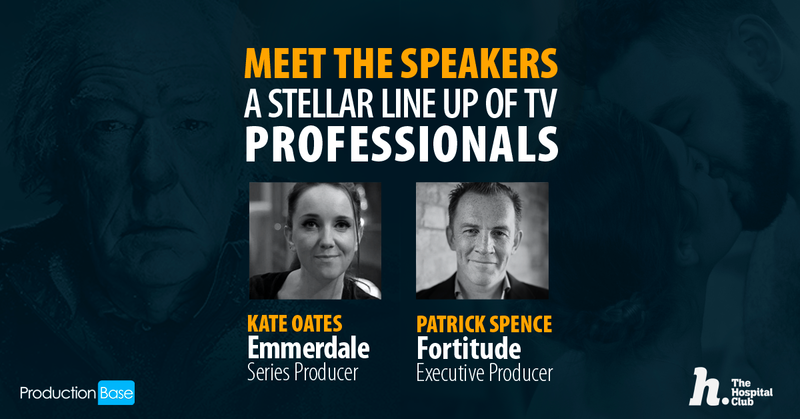 We were once again joined by two top speakers from the world of TV, revealing the secrets behind the success of their shows. 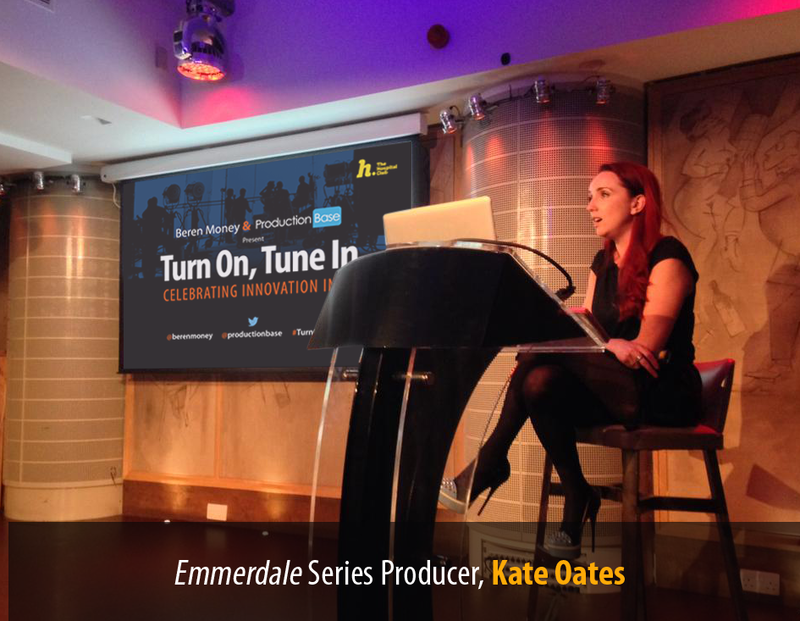 First up was Kate Oates, Series Producer on ITV’s now 42 year old soap, Emmerdale. The show’s now well beyond it’s 7,000th episode, and she discussed the huge challenge of putting together 312 half-hour episodes every year, with a minimum of six episodes completed every week. Producing such a huge volume of content in such a short space of time requires an army of more than 300 production staff, working in three separate units. Emmerdale is filmed across five studios in Leeds, and separate location set in the Yorkshire Dales, and with such a tight schedule, Kate also discussed the need to balance studio and location time – with an around 16 minutes of completed footage per day in the studio, versus only 8 on location.